Yet again members and staff of EA Law – East Anglian Chambers will be joining with fellow lawyers, judges, charities and legal support staff to raise funds to enable legal charities to provide much-needed advice and support for those unfortunate enough to be in need of it. 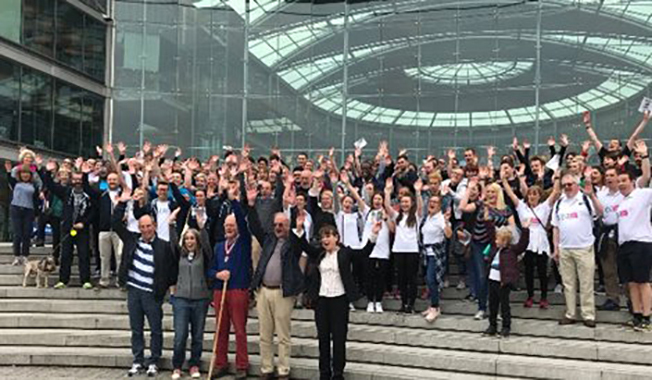 Organised by the Eastern Legal Support Trust, which provides financial assistance to legal charities across this region, the Norwich Legal Walk has become an annual event attracting support from many firms and organisations : this year twenty four have already registered. Lead walkers will include Norfolk Coroner Jacqueline Lake, HHJ Stephen Holt and High Sheriff of Norfolk Charles Watt. Led by Head of Chambers Graham Sinclair (who is also walking the following week at Cambridge), our team so far comprises Simon Redmayne, John Ratledge, Nicholas Michael, Louise Mantell-Sayer, Andrew Nicklin, Rachel Scarrott, Selina Bungsraz & Dan Twite. We shall also be joined by Theresa Matthias, who very recently retired as clerk after over 28 years’ service. To sponsor the team and contribute much-needed funds for some under-publicised but essential legal advice and support services such as Norfolk Community Legal Service please visit our sponsorship page at https://mydonate.bt.com/fundraisers/eastanglianchambers18 and click on the “Donate now” button.